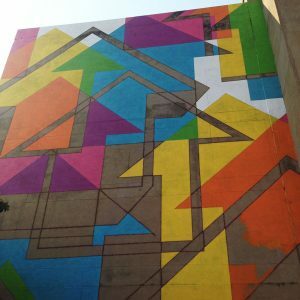 Born in California, Arrow is a world-renowned street artist who has kept his identity a secret. 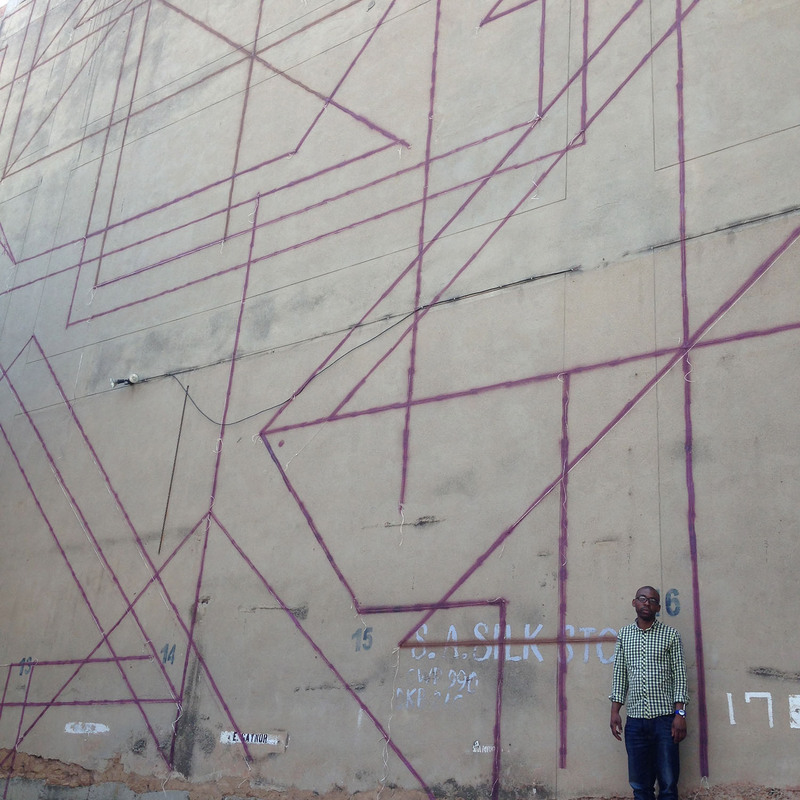 His name was created when he began painting the word ‘Above’ on freight trains as a teenager. He later shifted to drawing arrows pointing above, which became his trademark.Much of his work is made with these abstract shapes, though he’s also known for art with a social conscience. 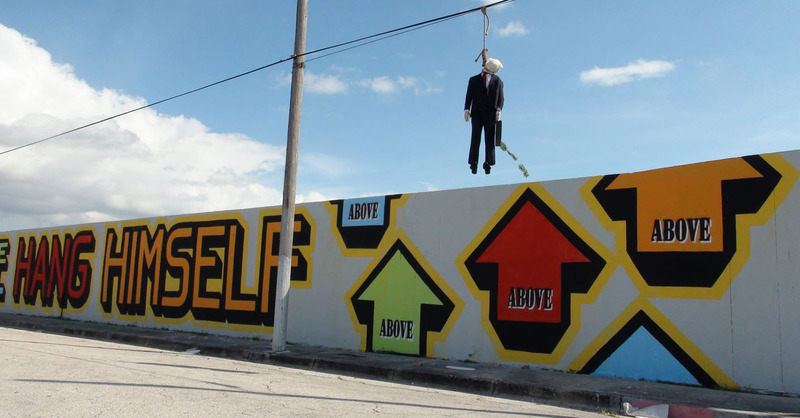 Perhaps most controversially, in October 2011 he created a city block-long text mural in Miami which read ‘give a wall street banker enough rope and he will hang himself‘. Above it he suspended an effigy of banker being hanged. He hoped the art would draw further attention to the Occupy Wall Street movement shaking US politics at the time. In 2012 he visited Spain, a nation in the throes of the Eurozone crisis- when 24% of the population were unemployed. He created a stencil piece showing a queue of people waiting outside an unemployment office along with text announcing the figure, the highest unemployment rate in the world. At the time Spain’s unemployment rate for under-25s was 53%. 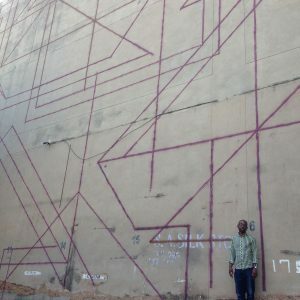 In South Africa he created a giant mural to raise awareness about the illegal blood diamond trade. 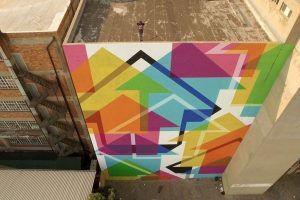 In his very own ‘jewel heist’, he tricked one of the world’s largest jewel exporters into allowing him to paint on the side of one of their buildings. 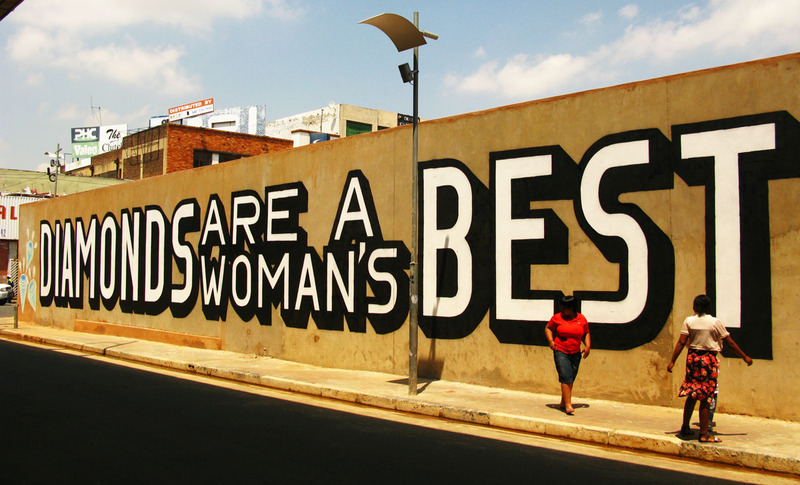 His mural read ‘Diamonds are a woman’s best friend and a man’s worst enemy’. He hadn’t informed the company about the second half of this sentence. In 2014 he was commissioned by Redbull to design and decorate obstacles for their professional fixed gear BMX competition Ride+Style in San Francisco (pictured below). 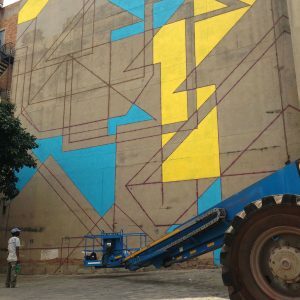 In October 2015 Above went to Johannesburg, South Africa to paint his biggest mural yet, a 33-meter tall piece of work called Incognito. What’s great about this mural is the way the overlapping arrows create stunning colour combinations. “My colour selections were predetermined by the relationship of how each colour transforms when laid on top of another. Above is still thriving worldwide, creating both pieces both abstract and political. 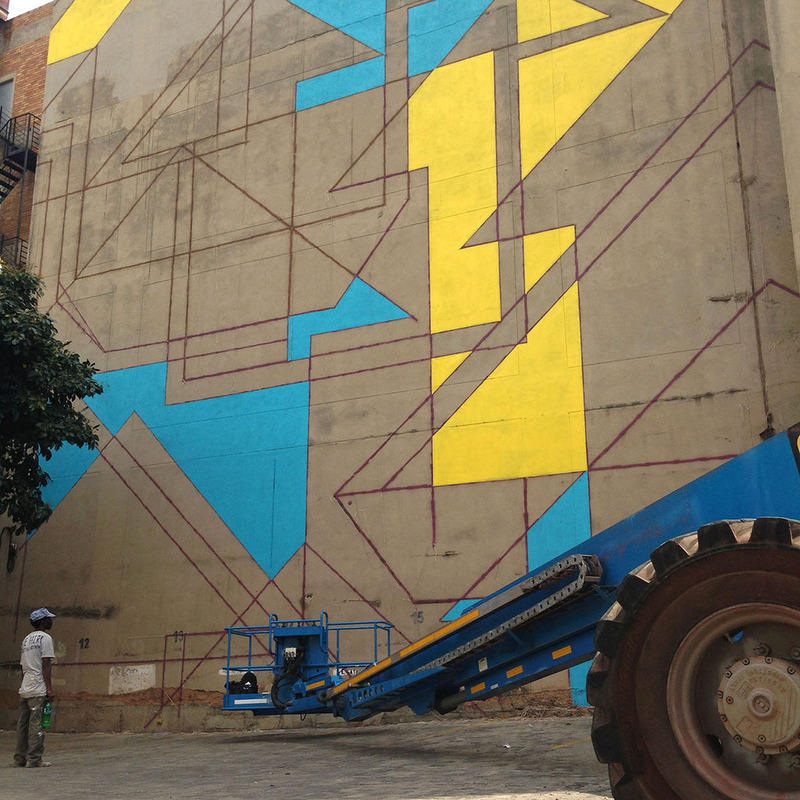 Sally Kirchell has been involved in the emerging street art scene since 2010. She runs a number of art related sites such as Beyond A Word specialising in creating Custom made Personalised Art for every occasion from Weddings to Birthdays and much more.